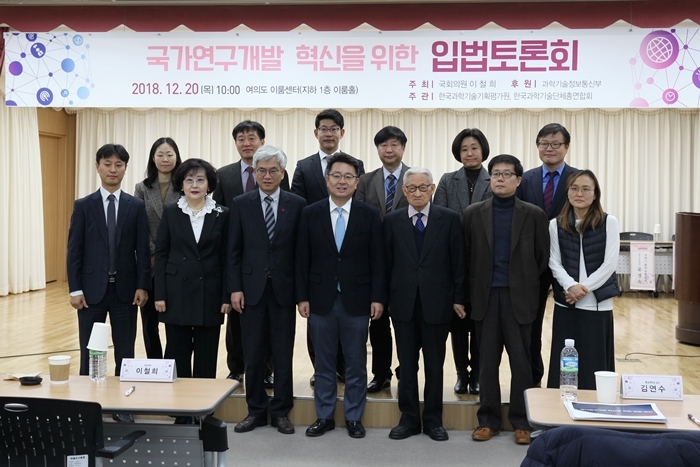 ‘Legistlative Forum for National R&D Innobation’ was held on December 20th at the Eroom Center in Yeouido, organized by the office of Cheolhee Rhee, the member of the National Assembly, hosted by KISTEP, Korean Federation of Science and Technology Societies (KOFST), and sponsored by the Ministry of Science and ICT (MSIT). 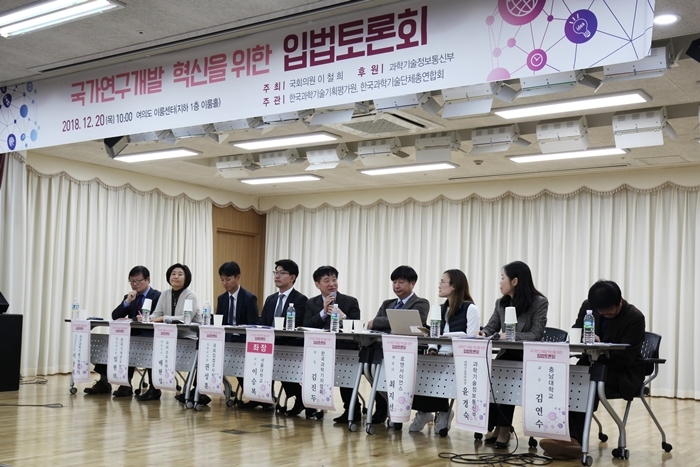 The forum was arranged to gather opinions from the public and experts of industry, academia, and institutes so that ‘The Special Law for National R&D Innovation’ that was proposed by Mr Rhee's office can serve as a bill that everyone can satisfy. The forum was held with more than 130 participants, including the Minister of Science and ICT, the Vice Minister of S&T and Innovation Office, Director General of S&T Policy, the public, related ministries and experts of industries, academia and institutes. The session consist of ▲ presentation of Legislation Plans for National R&D Innovation and ▲panel discussions with experts from industries, academia, institutes, National Assembly, media and law.